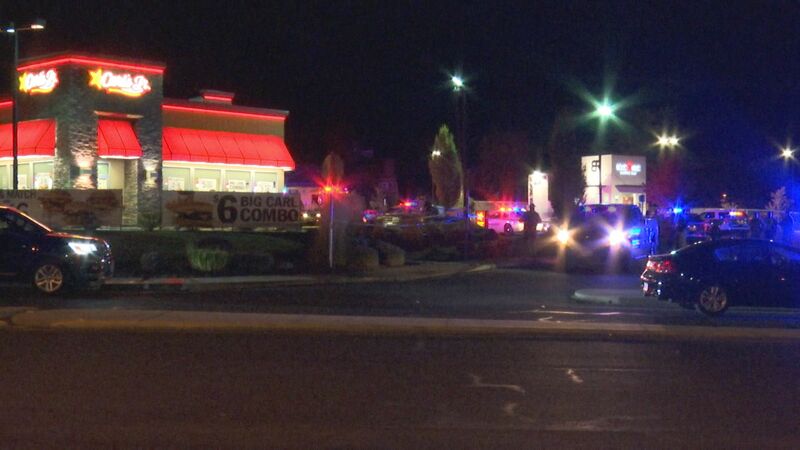 EAGLE POINT, Ore. — The Jackson County Sheriff’s Office has identified the man killed in an officer-involved shooting as Matthew Thayer Graves. According to JCSO: “On Wednesday, September 19, 2018 at 8:42 p.m., an Eagle Point Police Officer contacted Graves near the Carl’s Jr. Restaurant in Eagle Point. The contact continued into the restroom of the restaurant where a struggle ensued. The officers involved in the incident have been placed on paid administrative leave, which is standard procedure. The names of the officers will not be released until the investigation is complete and the case has been reviewed by a Grand Jury. Anyone with information about the case is asked to call Detective David Seese at (541) 774-8304. Refer to JCSO Case 18-19902 or EPPD Case 18-6861. This is a developing story and we will have more for you tonight on NBC5 News at 5 and 6. 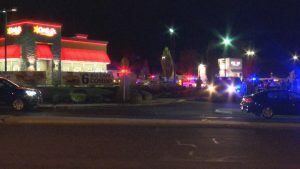 A man is dead after an officer-involved shooting at Carl’s Jr. in Eagle Point. Sheriff Nathan Sickler says that an officer with the Eagle Point Police Department attempted to make contact with the person inside the restaurant. After refusing verbal commands, a struggle broke out between the officer and the man. Sheriff Sickler says that the officer did use a taser before resorting to his firearm. The Jackson County Sheriff’s Office is investigating the incident.